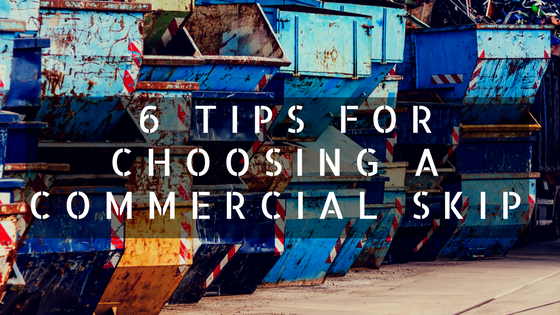 When selecting the right size skip for your commercial project, there are several factors that you need to take into consideration if you want to get more out of your skip hire in Wigan! A commercial skip can get rid of any excess material that you have on site, allowing you to remove it quickly and carefully. Specialising in skip hire Wigan, we provide a suitable disposal solution for all businesses, so don’t hesitate to find something suitable today. Needless to say, a commercial project generates more waste than any home renovation, hence why you need to carefully choose a skip. At Lostock Skip Hire, we provide a complete range of commercial skips, including the 20-40 cubic yard roll on-roll off skips. The roll on-roll off skips are perfect for storing immense volumes of waste; they’re designed to hold up to 400 tonnes of waste! Ordering a skip that’s too small will only lead to you overfilling it. Any skips that are overfilled can make it difficult for us to transport your waste to be disposed of. If it’s not safe for us to collect your skip, you may be asked to remove the excess material and be faced with additional charges. The best thing to do is hire a bigger skip than you need; this will ensure that you have sufficient space to store the waste your project produces. Think about the materials you plan to throw inside your skip. Our skip hire Chorley services provides a suitable storage solution for any bulky materials that are too big to throw in a domestic skip. Despite our roll on-roll off skips having the same base dimensions, their wall heights vary. The 40-yard roll on-roll off skips can store more waste than any of the other enclosed commercial skips that we supply. Commercial skip hire in Chorley is perfect for large volumes of light materials- remember our professionals still have to lift your skip onto the back of our fleets! Not everything can be thrown inside your skip, you need to make sure that your waste is suitable. When choosing a skip for skip hire in Leyland, you should keep any hazardous materials separate. Hazardous waste is the term used to describe any potentially dangerous items, whether it be chemicals, oils, pesticides, paints or solvents. If we find any hazardous materials inside our commercial skips for skip hire Leyland, you can expect to be handed a fine for not adhering to skip policy. Don’t forget to plan in advance. Skip hire Preston requires careful planning, you may want to book early to avoid disappointment, especially if you’re looking for a skip during the summer! Lostock Skip Hire make sure that your skip hire in Preston is convenient, taking into consideration the specific requirements of your commercial project. We can deliver skips to any location, at a time that’s suitable for you; we can even arrange to drop your skip off at the weekend or during the evening. Skip delivery and collection is included in the overall cost of skip hire; we make sure that the process is efficient. As soon as your skip is full, we encourage you to contact us to arrange for your skip to be collected from your premises. We make sure that your waste is collected quickly and easily, taking care of the disposal of the contents inside your skip. Should you need to order a new skip to replace the one that’s been collected, call us on 01204 698 153! Skip hire Bolton is one way that you can keep your business green, we make sure that your waste is disposed of in a sustainable fashion. Here at Lostock Skip Hire, we aim to recycle as much material as possible; when your skip is collected, we take your waste to be sorted into recyclables and non-recyclables. If your waste can be reused, we make sure that this is kept to one side, preventing it from being sent to landfill. The team here at Lostock Skip Hire have developed a wealth of experience when it comes to skip hire in Bolton. We make sure that you receive a professional service, that is tailored to your individual requirements. Our professionals are always on hand to offer their expertise and any free advice and support that you require, so be sure to get in touch with us today!